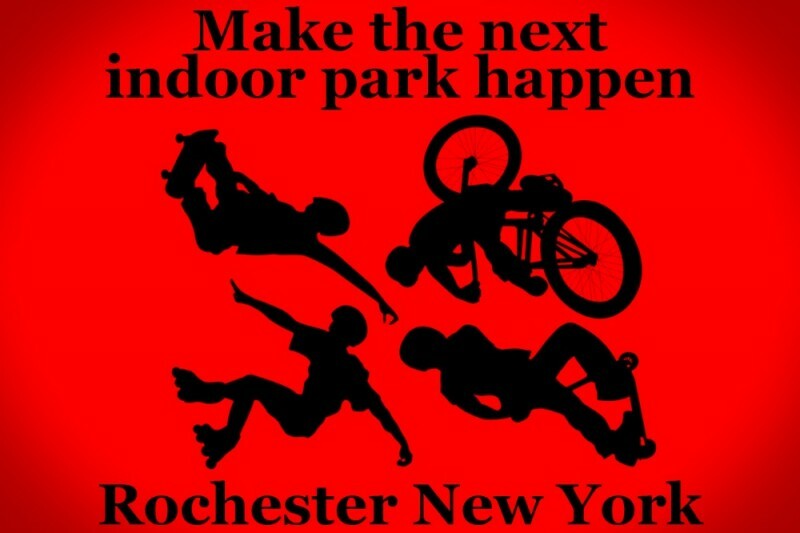 Make it happen - help fund an indoor skatepark for the greater Rochester NY area. The start-up phase of a new indoor skatepark in Rochester, New York is nearly fully funded. We need your assistance to complete this start-up phase, and begin the next phase of this strategic plan. This leaves one indoor skatepark in the entire state of New York State (located on Staten Island), and Rochester remains the only city among the largest 125 in the U.S. with no public, outdoor skatepark. A volunteer transition team is realizing the mission of a sustainable indoor skatepark in Rochester. This new park will be a non-profit organization. With non-profit status, the new park can diversify the programming available with grants, fundraising, and sponsorships. Sustainability will also be achieved with the tax benefits available to organizations with non-profit status (there is precedent for skateparks being operated by and as non-profit organizations). The next park will likely remain in the current location and will retain obstacles and furnishings from RASP. Most exciting, a bowl will be added. · You understand and value the unique benefits of youth participating in progression-oriented sports. · You or your children are riders of skateboards, mountain bikes (MTB), bicycle motocross (BMX), scooters, or inline/quad skates. · You know that when there is a safe spot for progression sports, they are much safer than many mainstream sports. · You know the dangers to children when there is no safe skate spot. This community resource is vital. The volunteer transition team needs $23,000 for start-up phase of making the next park a reality. The team has raised over 80% of this goal (every member of the transition team and every employee of RASP has donated). Donate now because time is of the essence. Less than $3K to go. Can't wait for the new park!